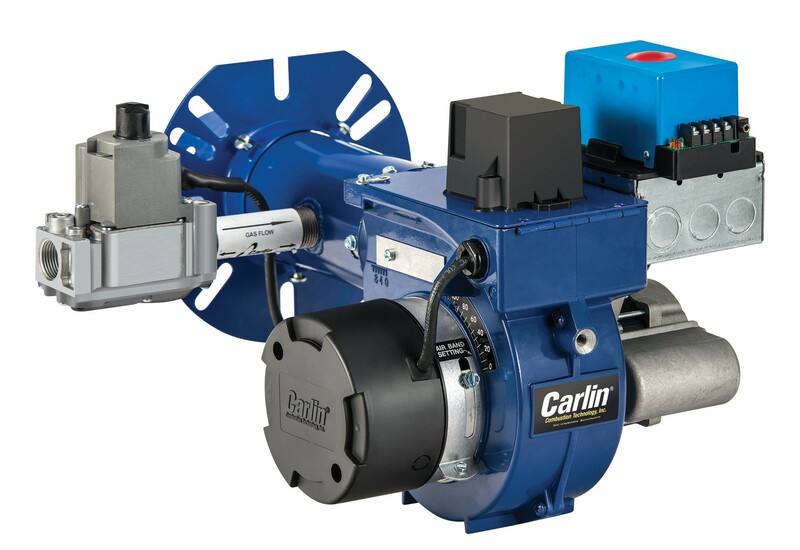 EZGas Pro Burner – Carlin Combustion Technology, Inc.
As a natural gas conversion burner, this model is available with or without a burner cover. The EZGas Pro burner converts existing oil-fired boilers, furnaces, and water heaters to natural gas or propane at a fraction of the cost of replacing the appliance. This natural gas converter comes factory packed with combustion control and gas fuel train. Unlike other conversion burners, it does not require a refractory liner – fires with or without a combustion chamber. Proven in extensive boiler and furnace testing, these gas conversion burners will meet your needs for residential gas burning applications. If you have any questions about this or any other oil to gas conversion burner, please contact us at your convenience. Maximum Supply Pressure: 14 inches w.c. Minimum Supply Pressure: 5.0 inches w.c. Manifold Pressure: 3.5 inches w.c.